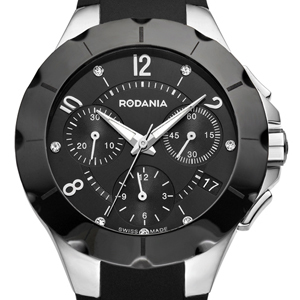 There are many facets to Rodania's new MX-R1 women's watch, not least its subtle combination of simplicity and attention to detail that no-one can ignore. 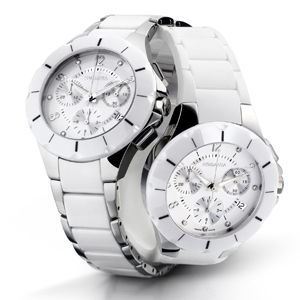 Robust ceramic in black or white juxtaposes the sheen of steel in a chronograph that completes the Mystery collection with the sports watch it had been waiting for. The refined mother-of-pearl dial is enhanced with 7 small diamond hourmarkers that echo the pleasing roundness of the counters and case. 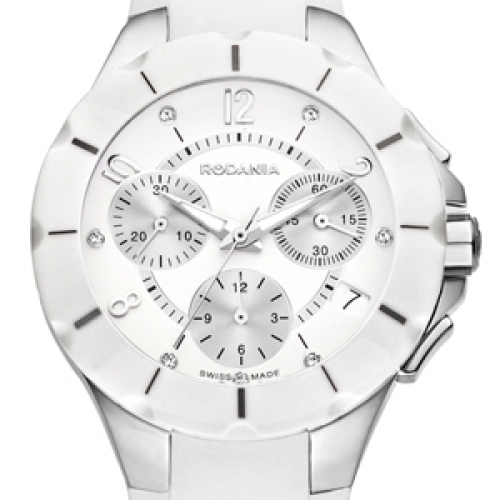 The design has been carefully studied so that case and bracelet flow together to delicately encircle a woman's wrist, and accentuate the contemporary elegance of this latest timepiece from Rodania.